Extensive qualification and testing were necessary before the piezo actuators from PI Ceramic could be used in the NASA space mission. Especially the lifetime was tested: Only after 100 billion (100,000,000,000 or 1011) cycles had been carried out without reduction in performance, were the actuators approved for use on Mars. There not a single actuator may fail. 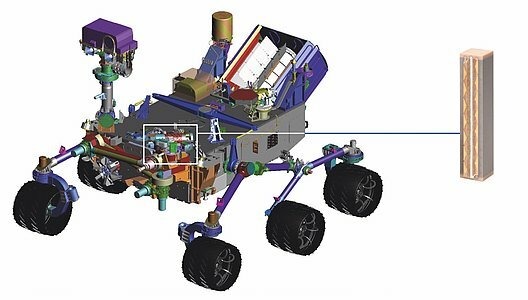 The CheMin instrument carries out chemical and mineralogical analyses on Mars rocks. For supply with suitable rock samples, the rock powder first has to be sorted. To this end, the powder is shaken at different amplitudes and frequencies in the range of 0.9 to 2.2 kHz to obtain homogeneous particle sizes or a separation according to density. 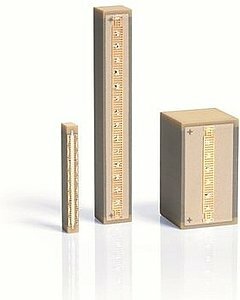 This is done by PICMA® Stack multilayer piezo actuators from PI Ceramic. They carry out the oscillations required in material selection and supply at a defined frequency. 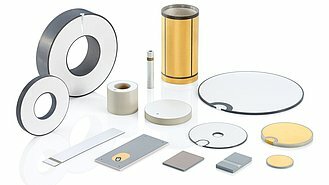 With their all-ceramic insulation, PICMA® multilayer piezo actuators are ideally suitable for use under space conditions at a temperature near absolute zero and extreme vacuum. They do not use synthetic materials, which could greatly impair their reliability in such an environment, and work precisely and repeatably over very long periods. No other multilayer piezo actuator available on the market is capable of this.